Since my anniversary was yesterday, I decided to spotlight weddings all week. 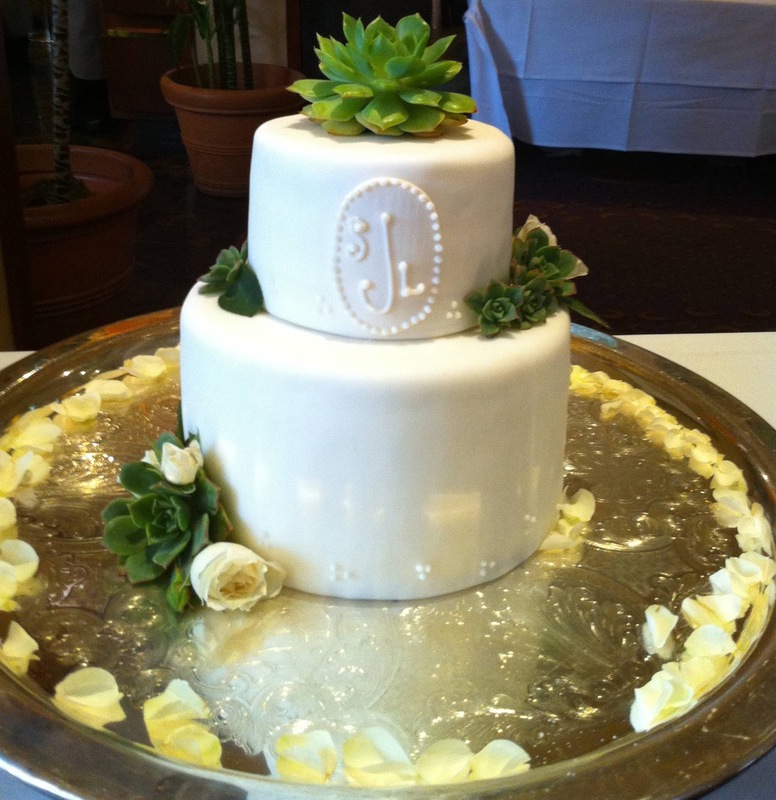 I couldn't help but post my wedding cake today for "Sweet Indulgences." 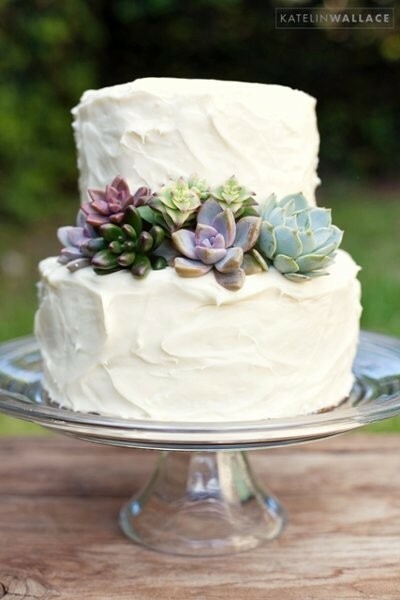 Afterall, who doesn't love wedding cake? 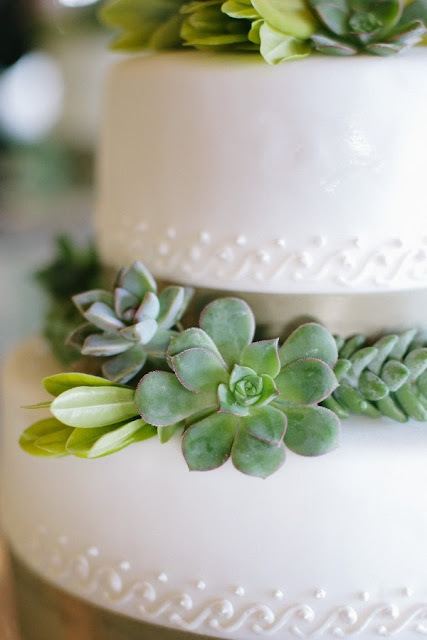 I made my bouquet and table arrangements with succulents and decided to use them as my cake topper as well. I had a lot of fun going to the nursery and selecting them myself. 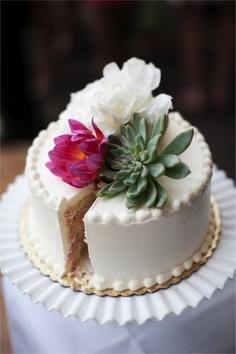 I brought them to the pastry chef who created the cake, which was also yummy ... raspberry shortcake! 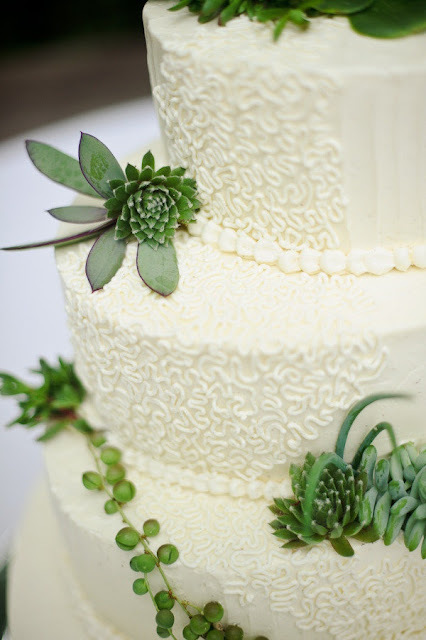 I love using mini succulents on wedding cakes! 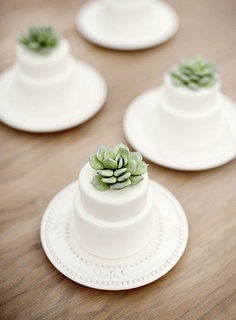 I've also started seeing decorators making some out of sugar to go along-side the real ones.